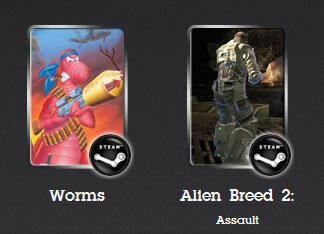 The Indie Gala 9 features Original Worms & Alien Breed 2 for Steam! I love independent games bundles. Humble Bundle. Indie Royale. Groupees. Indie Gala. Love ’em. The idea is you pay what you want for a group of games, usually for Steam or Desura and ALWAYS DRM-free. It’s a great way to support the developers and charities at the same time! As of this writing, the most recent Indie Gala (Indie Gala 9) includes the original Worms for Steam! Pretty awesome, if I do say so myself. It’s one sure-fire way to play the classic original without having to jump through all the DOS Box/Virtual OS hoops. Go get it here before it expires!